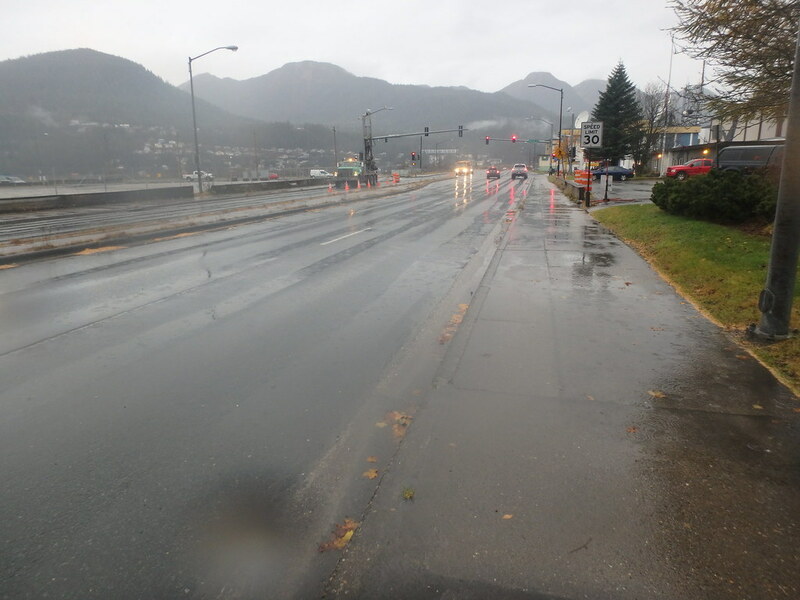 The planned improvements along Egan Drive in downtown Juneau include grading, drainage, paving, pathways, illumination, and retaining wall and side slope stabilization. PDC is providing geotechnical and structural engineering consulting services. Geotechnical services include subsurface exploration, assessing global slope stability in the vicinity of a planned new retaining wall, developing geotechnical recommendations for the planned wall, providing foundation recommendations for new light poles and traffic signals, developing a new replacement pavement structure design considering ADOT&PF’s Alaska Renewable Pavement concepts, and reporting our findings and recommendations. 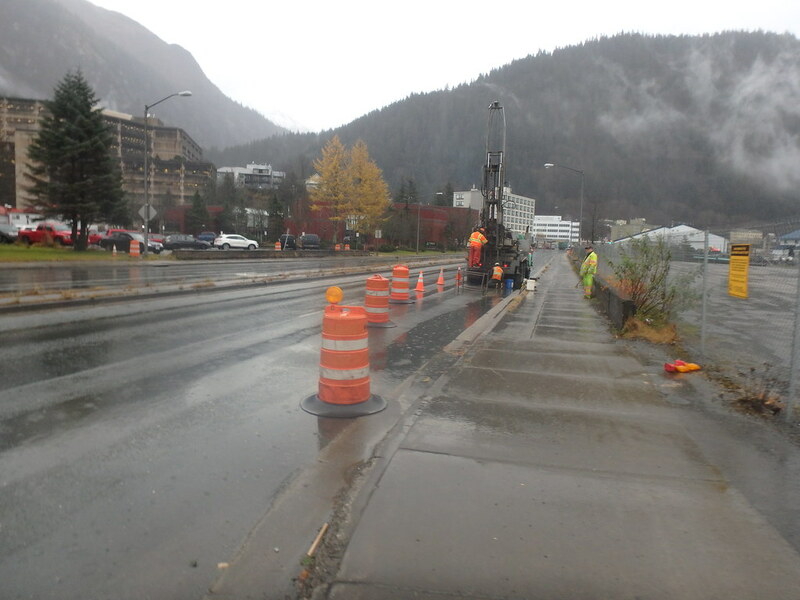 We designed the new pavement structure using the Alaska flexible pavement design manual and accompanying design software. 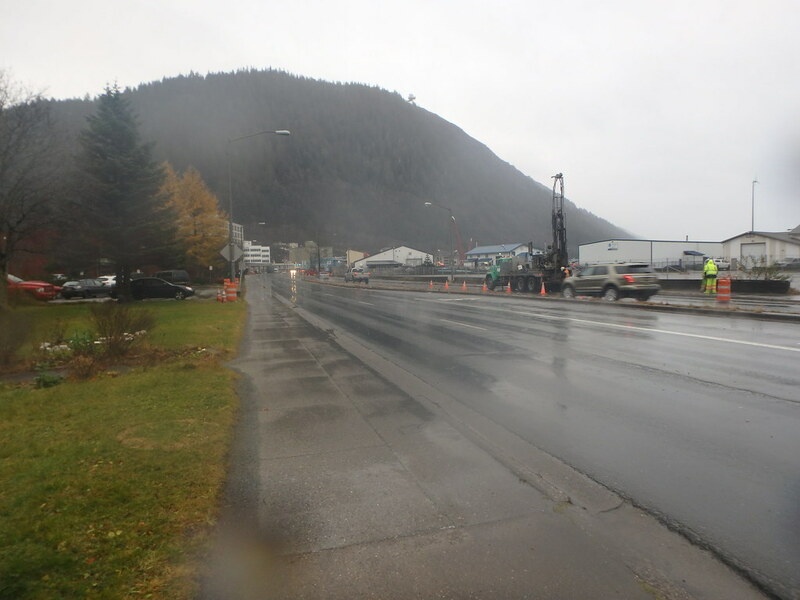 The design included re-using existing subbase materials and replacing asphalt surface and base materials with new asphalt treated base, crushed asphalt base, and asphalt binder and wearing courses materials. Foundation recommendations for light and traffic poles included both shallow spread footing and pile foundations. Recommendations considered relative proximity of new poles to existing embankment slopes and soil resistance available to resist lateral loading and overturning. 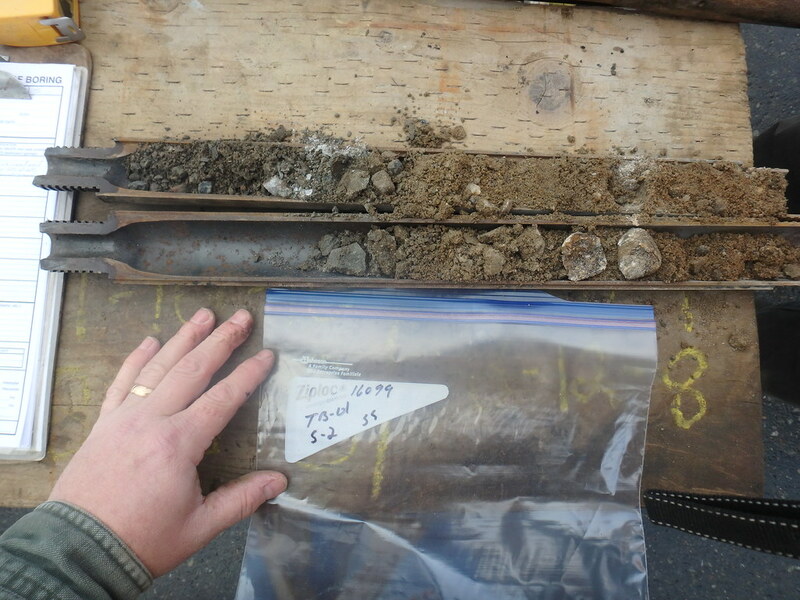 Our slope stability assessment included: reviewing existing geotechnical information in the area; developing an understanding of the complex geologic setting; and developing a soil stratigraphy model with material strength parameters, groundwater/tidewater conditions, and seismic loading. We assessed slope stability using limit equilibrium and pseudostatic approaches within Rocscience Slide slope stability modelling software.